StartMeeting easy-to-use online meetings with HD audio, video conferencing and screen sharing. If you are interested in using StartMeeting in your company contact Brandon Klein (bklein@freeconferencecall.com). 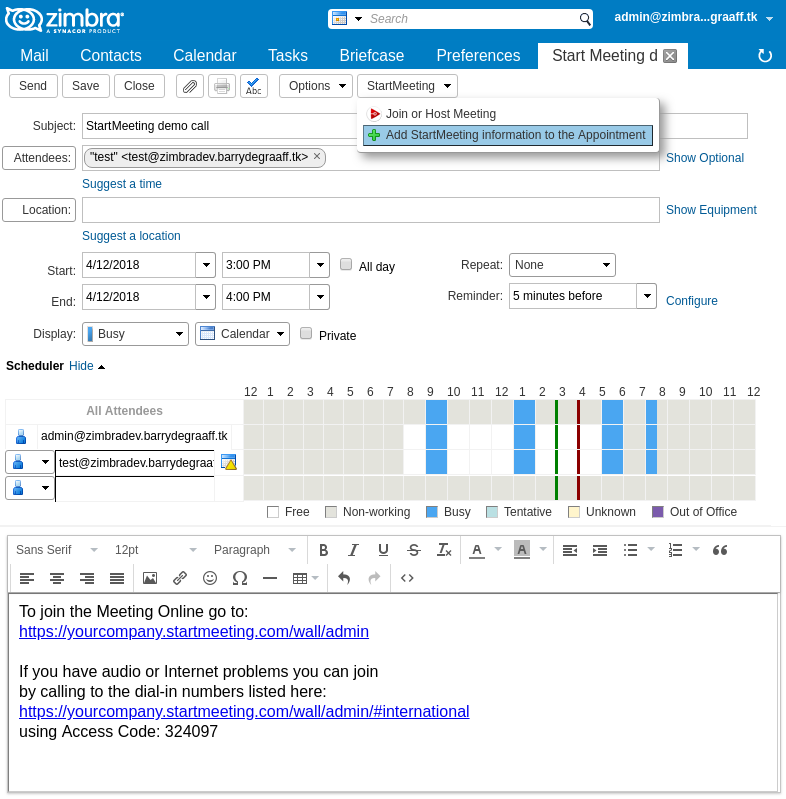 This Zimlet allows you to add StartMeeting information to your Zimbra appointments to share the online meeting link with participants. The Zimlet also allows you to join/host a Start Meeting if you receive an email or calendar invite with a StartMeeting Link. You must download a copy of the Zimlet using git, configure your companies Start Meeting URL (contact sales) and then deploy.